Offending the LGBTQ community on YouTube was never my intent. We spoke the truth in love, and it is that God’s truth that sets us free. 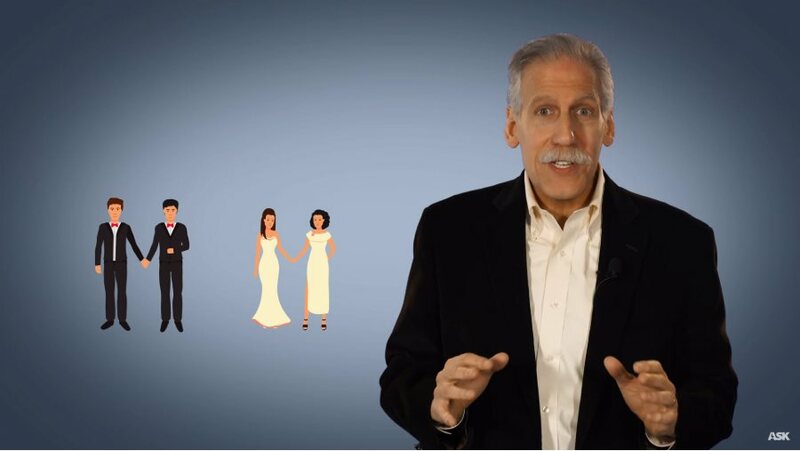 Screenshot from Dr. Michael Brown's YouTube video, "Can You Be Gay and Christian?" The last thing we planned to do was advertise on LGBTQ-related channels on YouTube. That was never our intent or goal. Apparently though, based on the subject matter and the words “gay” and “homosexual,” an ad for the video began appearing on some LGBTQ channels. YouTube has come under fire for putting anti-LGBTQ ads on LGBTQ videos. Twitter user Jace Aarons tweeted an example. He found an ad from Michael Brown, a conservative radio host, playing before a video from Chase Ross, a transgender YouTuber. How in the world did our ad end up there? Another LGBTQ website, We the Unicorns, carried a similar article, also referencing our video. YouTube is obviously between a rock and a hard place. It will be interesting to see what happens in the days ahead. It looks like everyone has something to complain about when it comes to wanting a level playing field. Yet it’s hard to imagine that no one will ever be offended by an ad that runs on their channel. But I fully understand the frustration expressed by these LGBTQ viewers, since our ads appearing on their channels felt to them like an invasion of their safe space (or worse). That was never my intent, and as we craft ads in the future, we’ll do our best to avoid offending anyone unnecessarily. That being said, if the content of the video offends, so be it. We spoke the truth in love, and it is God’s truth that sets us free. Great video Dr. Brown. It’s thorough, well-rounded, and compassionate. As you said, if the content offends, so be it. The Word of God must go forth! Christians must be willing to be misunderstood when it comes to proclaiming the truth. To many Christians have comprised on this issue and have brought shame on the name of Christ. We must stand strong. He who sits in the heavens [does] laugh (Ps. 2:4). Only, when God laughs, it can be very serious. That LGBT people are so quick to lash out is very telling, as is their stubborn refusal to engage in discussion with anyone who doesn’t support their perversion, and by adding hypocrisy to their list of transgressions they are merely placing another building block in their fortress against the Lord. That fortress will come crumbling down though, not being built on solid rock, and they will then be in deep regret having resisted the Holy Spirit. By then the only question will be, did that demolition occur while they still had time? Don’t use their words in describing them, such as gay, LGBT, etc…just say “That queer people are so quick to…” is much more accurate, IMO. Sugarcoating abnormal behavior is not helpful in the long run…and, as always, words matter. The reason people are refusing to engage with you is because you are using words like “perversion” and these implied threats of demolition. Why not engage with LGBT people in an open and loving manner? I am not a Christian — I was raised Christian and attempted suicide many times in my teens and early twenties because I am gay and was so ashamed of what you call my “perversion”. Is it better to live as a gay person, hated and mocked by people like you, or to kill myself? I implore you to talk to LGBT people with more love and understanding in your heart. The kind of rhetoric you espouse led to me attempting suicide several times as a young LGBT person. I hope someday Christians will learn to love their neighbors the way they claim to, and realize that their rhetoric is damaging.